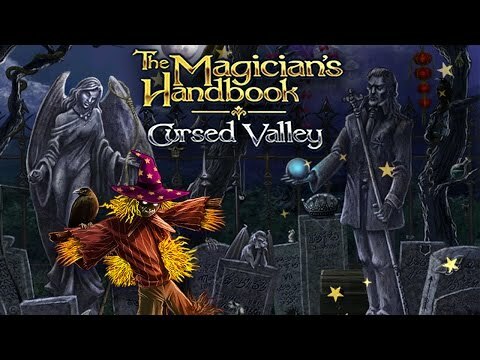 Remove the evil curse in this captivating adventure by finding hidden objects in the dark and mysterious Cursed Valley! The fabled "Magician's Handbook" has fallen into your hands. You are beckoned to a dark and desolate place whose true name has long been forgotten. Search beautiful, hand-painted backgrounds for cleverly- hidden enchanted objects. Use special incantations to slowly reveal the pages of the sacred book. Lift the curse from the haunted valley to discover its true name in this brain-bending, hidden object adventure with unlimited replay ability!